The Lok Sabha election 2019 is scheduled to be held from 11 April to 19 May 2019 in seven phases to constitute the 17th Lok Sabha. The counting of votes and the result declaration will be conducted on 23 May 2019. It is not going to be an easy win for any party. Every party is selecting their candidates very carefully. Let’s find out who is contesting against top BJP leaders in Lok Sabha 2019 elections. Poonam Sinha, wife of actor Shatrughan Sinha may be contesting from the Lucknow parliamentary constituency with the support of Bahujan Samaj Party against Union Home Minister Rajnath Singh. Jitin Prasada of Indian National Congress Party will contest against Rajnath Singh. Union minister Smriti Irani will be contesting against Congress president Rahul Gandhi in Amethi. In 2014, Lok Sabha polls Gandhi defeated Irani by 1, 07,903 votes. In Nagpur, Nana Patole will be contesting against Nitin Gadkari in Lok Sabha 2019. Union minister Nitin Gadkari is trying to retain the seat for a second consecutive time this year. Nana Patole was previously with a BJP MP from Bhandara-Gondiya and later when on to join Congress party. The Congress party decided to put its MLA CJ Chavda against BJP president Amit Shah from Gandhinagar Lok Sabha seat. Mr Chavda, a two-time MLA from Gandhinagar-North Assembly is confident and said that he will give a tough fight to Amit Shah in the Lok Sabha polls. Jaya Prada will be contesting against the Lok Sabha Elections 2019 from Rampur Constituency. Azam Khan has been an MLA from Rampur constituency for nine terms. He was also a cabinet minister in the government of Uttar Pradesh. From Thiruvananthapuram constituency of Kerala, the former BJP MLA of Mizoram will fight for the election of Kirmani Rajshekhar. At the same time Congress’s current MP Shashi Tharoor will contest for this seat. Kumamam had resigned from the post of governor to contest the elections from the BJP. Sonia Gandhi has been fielded from Rae Bareli Lok Sabha constituency on behalf of Congress. And from BJP, Dinesh Pratap Singh will be contesting against Sonia Gandhi. For Mathura seat, Hema Malini is standing in the election grounds on behalf of BJP. Congress party releases Mahesh Pathak against Hema Malini. Right from the RLD, Narendra Singh will challenge them. 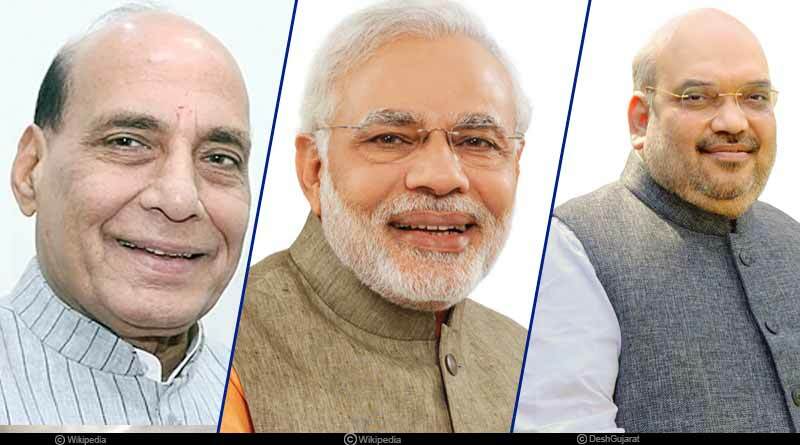 To stay updated on Lok Sabha elections 2019 and reading stories like Who is contesting against the top BJP leaders, do follow us on Facebook, Twitter, and Instagram.